Free Seamless Tiles From Tallulahdahling! 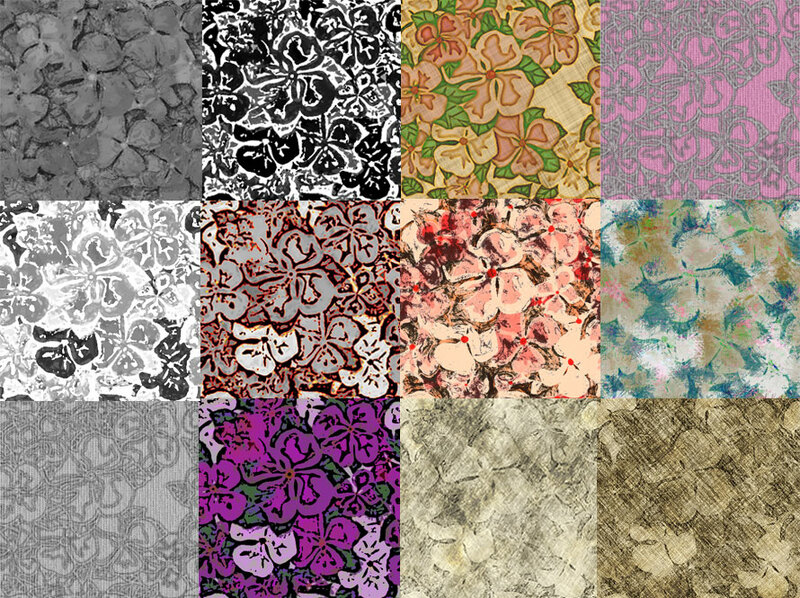 This collection includes 45 colored and 30 greyscale seamless tiles in .png format, all made from the same two master tiles but with a wide variety of styles. The differing styles were made using various means, including Filter Forge filters (http://www.filterforge.com/) and the free Xero filters (http://www.xero-graphics.co.uk/downloads.html). Unzip these tiles wherever want to keep them! These are just a few of the 45 color and 30 greyscale seamless tiles you get in this package. Here's Wilmap's lovely Off the Shoulder Dress freebie for Genesis 2 Female, sporting Tallulahdahling Floradahling seamless tiles. Pioneer ladies at the well, note the antique scruffy look of the Mama's fabric. (More Wilmap freebie clothes at ShareCG. See link above.) 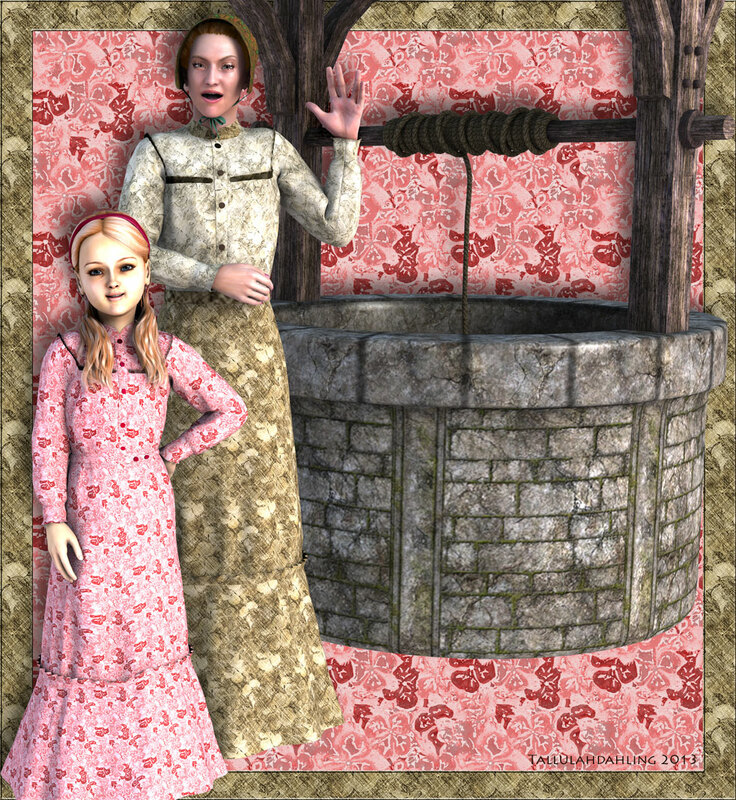 The well does not have Floradahling textures on it, alas. Four little friends all LOVE Tallulahdahling's Floradahling fabrics! If you don't fool around with the tile sizes in the Surfaces Tab (D/S) or the Material Room (Poser) to reduce the size from “1”, you get a huge print like the pink one on the sundress. All of these tiling texture patterns are original, hand-drawn creations by me. 1) You may not SELL them in other COLLECTIONS of tiles, as tiles per se. This is because I don't think it's good business to sell to someone something they can get free elsewhere, and I don't wish to be a party to bad business policies. 2) You may not take credit for my creations. Just don't say or imply that you created the tiles. I'll be happy. You don't have to actually give me credit. 3) If you give them to someone for free, make sure you include this Terms & Conditions page. 2) in commercial texture maps. 3) as commercial tiles applied by MAT pose files to specific models (because you are offering the customer your own efforts at making new combinations and easy applications). 4) as elements in your own original tiles, as long as you change my tiles enough (not just a color change) that they offer the customer something new and original of your own. 5) As elements in commercial greeting cards, web design and other such money-making ventures. I like to make things simple. Just don't sell my tiles without adding the above-described value of your own, don't give them away without this Readme, and don't pretend that you created something that you didn't create. 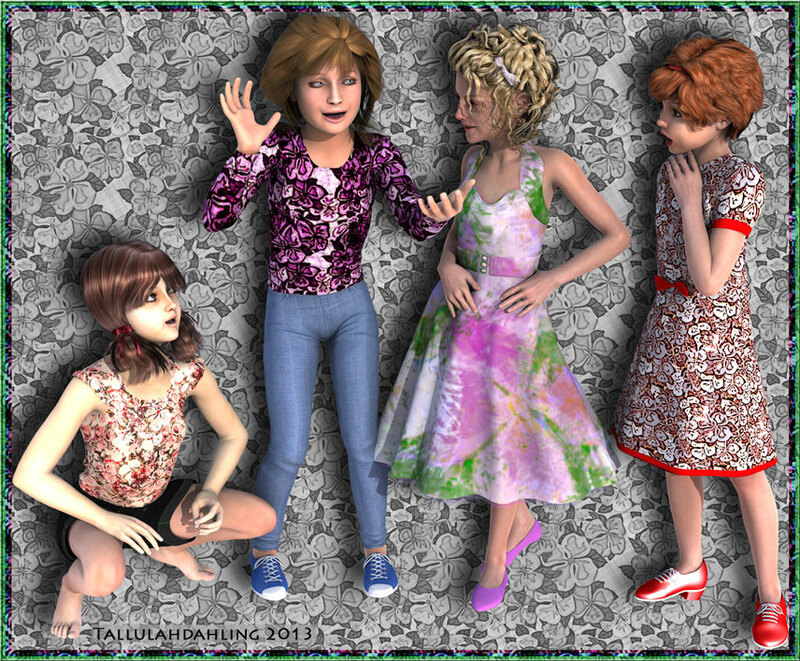 Or contact Tallulahdahling by personal messaging through the forums at DAZ 3D.